Kiama is a delightful little town on the south coast of New South Wales. With a population of around 13,000 it's bigger than some towns we've visited but still small enough not to feel overwhelmed by lots of people. The caravan park we are staying at is called Kendalls on the Beach and as the name implies it is literally right on the beach. Lying in bed at night listening to the crashing waves certainly is a nice sound to fall asleep to. 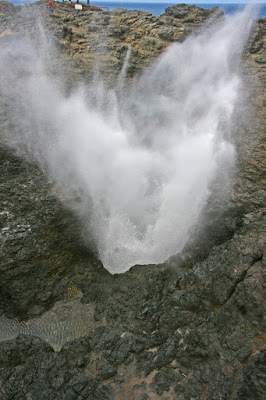 Our stay here is a lazy few days but Kiama still has quite a few attractions to visit, with Kiama Blowhole probably being the most famous. 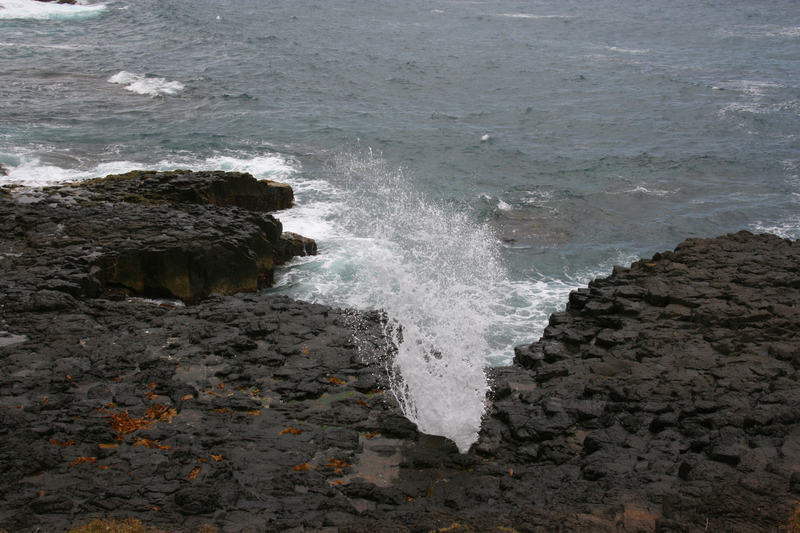 The Kiama Blowhole is an unusual rock formation that spouts spectacular plumes of water high into the air. Right next to the Blowhole is the imposing Kiama Lighthouse. 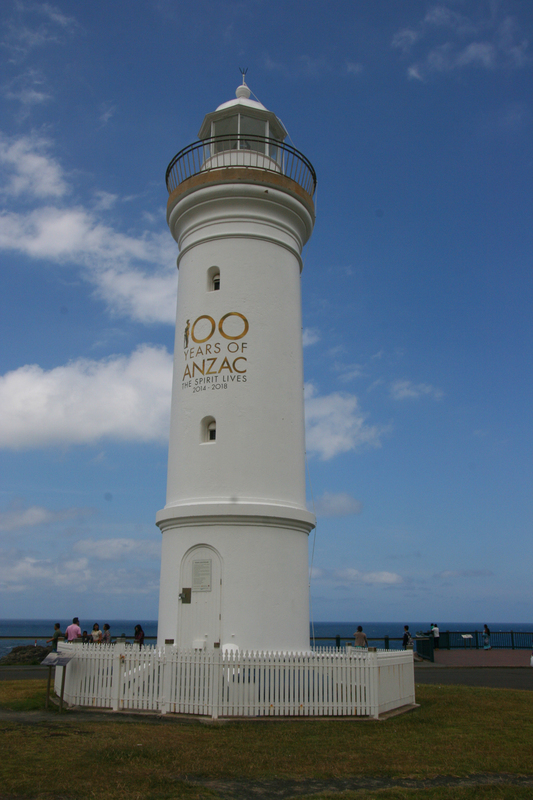 This lighthouse was established in 1887. The original apparatus in the lighthouse was an oil burner, producing a light that was visible for nine miles. After several upgrades to coal gas, acetylene gas then 240 volt the lighthouse was then de-manned. 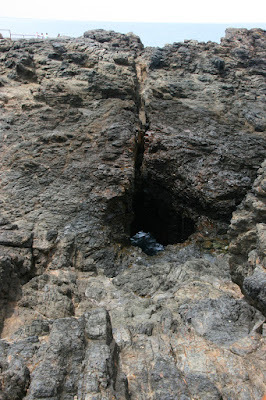 Just around the corner from where we are staying is the Little Blowhole. Similar to it's big sister, the Little Blowhole spouts vigorous sprays of water from a naturally rock cove. The reason for the name Little Blowhole is not that it spouts are not as high, but the hole where the water comes from is narrower. As the water rushes through both blowholes it is accompanied by a thundering sound of the air and water being forced through the openings.